The public slipway is on the eastern side of the harbour off Surrey Street and is adjacent to the RNLI Lifeboat Station. 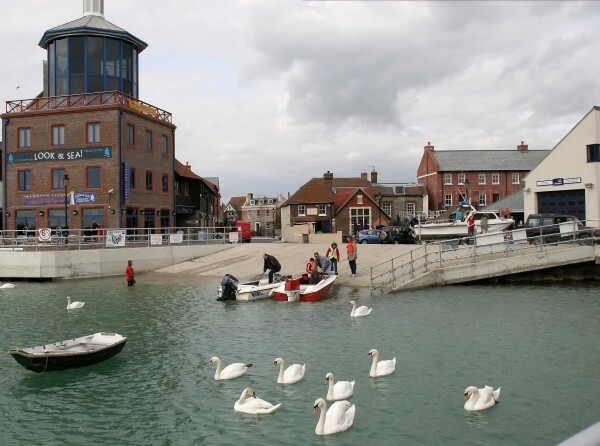 There is no charge for the use of the slipway but all vessels must register with the Harbour Office and pay harbour dues before going afloat. See the regulations page for an overview of other harbour rules enforceable for all vessels. Alternatively, registration and daily dues payments can now be done online instantly via PayPal here. Note: The Look & Sea Centre unfortunately closed in August 2018 so daily harbour dues can no longer be paid there. 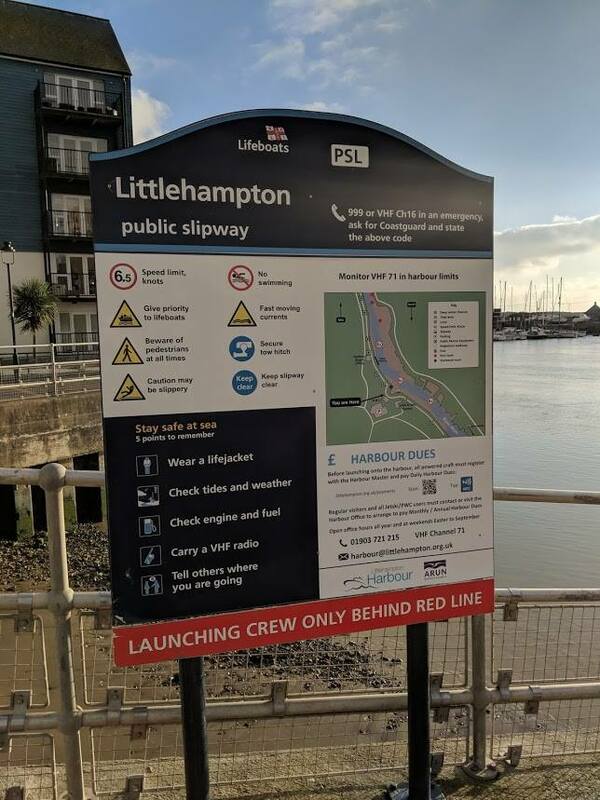 Slipway users are reminded that the slipway is also used by the RNLI and access is required at all times. You are therefore requested to ensure that there is access for the lifeboat to be launched. There is a public car park with trailer parking bays. For alternative car parking, see the parking page. The main part of slipway is constructed of concrete and the lower part the water is constructed of caged rock. Ideal times for launching are between 2 hours before and after high water. Caution should be taken when launching as the lower part of the slipway is covered in soft silt.